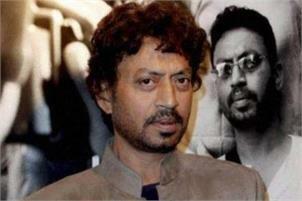 Irrfan Khan, who is currently in London for the treatment of neuro endocrine tumour, has thanked his fans for being “part of his journey” after he was received the Best Actor trophy for his performance in “Hindi Medium” at the Indian International Film Awards 2018 (IIFA). “Thank you to @IIFA and our audience who have been part for my journey #IIFA2018,” Irrfan tweeted. In “Hindi Medium”, Irrfan palyed the role of a father trying to get his child admitted in a posh English medium school in Delhi. Directed by Saket Chaudhary, the film also featured Pakistani actor Saba Qamar and Deepak Dobriyal and was a sleeper hit.